Running along the Continental Divide! Well, I didn't quite meet my goal of sub-10:45. I struggled in several areas and just didn't put things together to run well all day. I finished in 11:06. With that said, I absolutely love this race, the town of Lake City, and the entire experience! When I signed up for three ultras in a span of six weeks, I wasn't sure how wise of a decision it was. I typically recover quickly after long runs/races, but I was looking at racing all three and not treating them just as training runs. Come to think of it, I've never run a race as a training run and I'm not sure I could. With the second one now complete, I don't think I could be enjoying myself any more than I am! The Golden Gate Dirty Thirty was on Saturday and I've been wanting to run this one ever since I got out there last year as a spectator. This course is incredibly beautiful and challenging. So much of the it meanders through pine and aspen forests. It's tough with almost 8000' of climbing over 31 miles, but it had everything I love about running trails, so I couldn't complain at all. I feel like the memory of training this winter in the cold wind with ice covered trails is still fresh in my mind and I appreciate the summer conditions all the more. The forecast for Saturday was for warm temps, so I only had one goal: to go out as hard as I could during the first 18 miles while the temps were cool and then see what was left in the tank to grunt out the rest in the heat. My plan worked, although it began to get ugly as miles 19-25 were the hottest I've run all year. Thankfully, clouds poured in as I reached the summit of Windy Peak and provided much needed relief all the way to the finish. I had no idea what place I was in at any point in the race. I did however get to pass a lot of runners. I remember when I first got into ultras, I was amazed at the people that could see a runner off in the distance and develop a "hunter" instinct to catch & pass them. I had so much going on in my head at that point, that I couldn't begin to think about how to catch someone without blowing up. I'm not totally there yet, but I get it now. It's a lot of fun to see someone ahead of you and know there's a good chance you're going to catch'em. Coming up to the Gap Rd crossing (mile 10ish). Got to see my ladies here! The day after the race, I took my wife & girls on a hike on the Raccoon trail which was mile 8-10 of the race. It gave me a good opportunity to snap some pics of that part of the course. I think it provides a nice glimpse into what the rest of the course looks like. I can't get enough of this stuff! I followed the same plan this race of just running and not worrying about the time. Right around mile 21, I must have bumped a button on my watch and it stopped for somewhere around 20 minutes. That just sealed the deal so I wouldn't know how I was doing until I saw the clock at the finish. Coming down Windy Peak, I did switch over to the screen that showed the time of day. 11:10am. Since the race started at 6:00am, that put me around 5:10. I had about three miles to go, so cracking 5:30 meant I had to fly. Note: these computations were about the most complex I could handle in a race! I cranked the speed up to high gear, but then met a nice hill after the final aid station and knew my chances were shot. Although it occurred to me that the race did start a little late. There was still hope! With a mile to go, I got behind a guy running in the 12 mile race. He was cranking out a strong finish, so I latched on and let him pace me to the finish. I even shouted out to him to "take us home, man", which he rose to the call and we torched the trail over that last half mile. Haha! Below, you can watch the "man in black" leading me into the finish line chute! 5:30! I've got a few weeks off before the San Juan Solstice. While I'm in a good place with my running, I know this race can't be underestimated. Huge climbs and high altitude will surely wreak havoc on my nice little rhythm I'm in right now. With that said, I couldn't be more excited about running & hiking in the San Juans! With all the crud going on in the world and negative news about kids, this is one shining example that there is still so much good to be pulled from the weeds and celebrated. 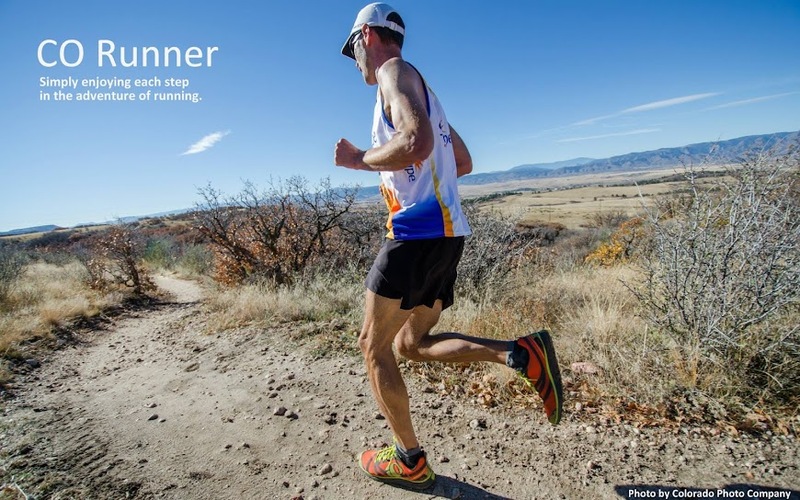 Matt exemplifies the raw desire & determination to get to the finish line against all odds. His friends exemplify the power of community & encouragement. Wow.